Registering for my first marathon was exciting and satisfying. My head immediately filled with images of myself running along a beautiful oceanfront highway, and of course crossing the finish line in a moment of triumph. It wasn't until much later that it occurred to me: I rarely run more than 10 miles a week and I have no idea how to train for a marathon. Well, maybe an inkling of an idea. The thought of running a marathon had been on my mind for a long time, so I had skimmed over training plans in the past. I had 5 months to go when I registered and I at least knew there were plans I could finish in that time. Still, I had no clue how the plans differed or why one would be better or worse than another. Thus began a week of intense research. Dr. Phil Maffetone is widely recognized as a world class endurance trainer with innovative ideas and plenty of success stories. I've been interested in his heartrate training method for a long time, even before my marathon was on the horizon. I first heard about it from my barefoot running friend Todd (author of Pathways to Running blog). He swore by the practice of modifying training to heartrate measurements and claimed it made him a much more effective runner. This idea was further reinforced when I began reading Alan Thwaits' Barefoot Journey blog. Alan also uses heartrate-based training and has inspiring results to show for it. I quickly ran to the library and checked out Maffetone's very thick and appropriately titled Big Book of Endurance Training and Racing. With over 500 pages, the book is indeed a wealth of information for getting your body into optimal fitness. It focuses on three main topics: training, nutrition and injury prevention, but that doesn't begin to sum it up. Maffetone delves into great detail about every variable that will affect your fitness. His method isn't just a collection of workout routines, but an in-depth class on how the human body functions during activity. Monitoring aerobic function is key to increasing and maintaining endurance, and he teaches everything you ever wanted to know about about every chemical, hormone, vitamin, cell and bodily fluid that affects your ability to move. Maffetone is undoubtedly an expert in his field, but the more I read the more I felt it wasn't what I needed at this time. For one thing, it isn't specific to running, but provides general info for all endurance sports. Also, while it gives very detailed and useful guidelines for every aspect of training, I decided it was more than I wanted to absorb at this stage. I just want to finish a marathon, not spend the next five months obsessing over how every heartbeat and every calorie I eat is going to affect every organ inside of me. The lack of a scheduled training plan didn't help, either. Maffetone explains this on his blog, saying that his 40 years of experience training has taught him that plans and diets should be individualized, not standardized. I totally respect that, but I'm also flying blind and want a routine to help discipline myself into sticking with training. 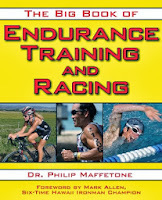 Maffetone is an accomplished doctor and trainer and shows an encyclopedic knowledge for endurance fitness. This method confronts every conceivable variable that affects endurance and is a goldmine for people who want to know what's happening in their bodies during a workout. Following his guidelines will get you into the best shape of your life. People who stick to his method swear by it. Learning and following all of Maffetone's guidelines is a big investment of time and energy beyond just running... more than I feel is necessary for someone whose only goal is to finish a marathon in less than 10 hours (I may not finish the book by the time my marathon rolls around). Not specific to runner's needs. No marathon training schedule offered. He has his reasons, but not ideal for someone who wants a disciplined regimen like I do. 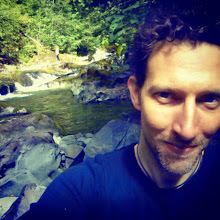 Overall, I think Maffetone is the guru on endurance fitness and shows that he knows his stuff. It's just more than I want to fit into my life right now. I can see this method coming in very useful if I decide to take my training to another level and invest more time into it. Any search for training plans will bring up Jeff Galloway's name very quickly. Galloway worked hard to develop an injury-free marathon training method that resulted in 1978 with his now famous Run-Walk approach. Since that time, he has trained hundreds of thousands of runners and published a multitude of training books. The idea is fairly simple: slow down and you won't get hurt! Build up distance and speed slowly by incorporating periods of walking into both your training and your race. 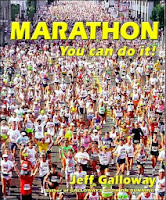 The Galloway book I selected was his revised 2010 edition of Marathon: You Can Do It!, which offers simple guidelines for training, nutrition and motivation. It also comes with several 29-week training plans, each for different time goals. This really appealed to me. Much simpler to follow than Maffetone, a schedule to satisfy my discipline craving and a strong emphasis on not getting hurt. After my running injuries last year, that gave Galloway a lot of points. I also think it's cool that he posts his training plans for free on his website. Sound good? Well, it is, but I'm still going to gripe. I had two issues with this plan. The first is that a 29-week training schedule was much longer than I anticipated, as my marathon was only 20 weeks away at the time. Deadline aside, that's a long time to train for one race. The second issue is perhaps the biggest complaint I hear runners say about Galloway: "I want to run, not walk!" Yes, the walking part of the training serves an important purpose for progression and injury prevention. Yes, Galloway's plan will still help you finish faster than many runners. And yes, I do expect to do some walking in my marathon. But still... I want to run, damnit! It's not that I think walking is bad or shameful, I just really like the mental groove I get into when I run. The less interruptions I have when I'm in that mindset, the better. Galloway has decades of experience training runners for marathons, so his methods are well-founded. Simple-to-follow guidelines for diet, training and motivation. 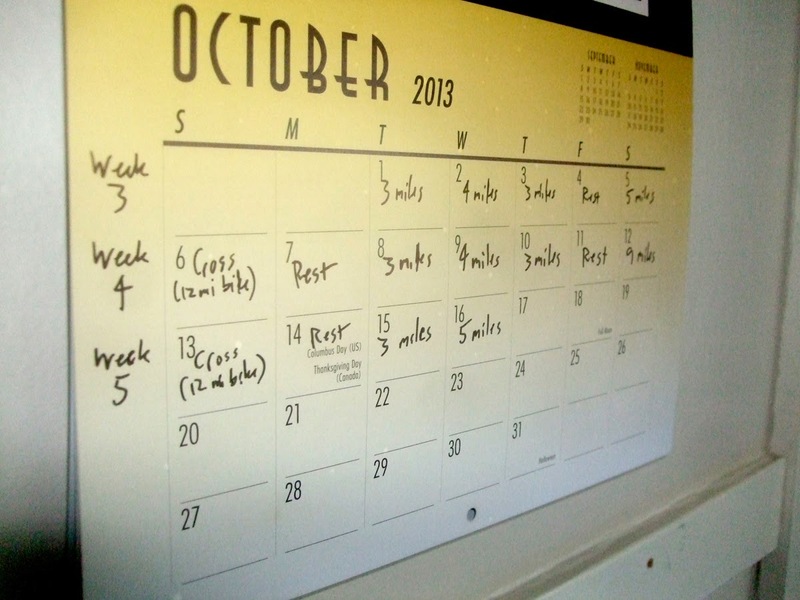 Several training plan schedules to fit various time goals. Great for beginners, even offers Couch-to-Marathon plan. Lots of walking when I want to run. 29-week commitment, longer than most training plans. A great plan to get anyone on his or her feet easiliy and safely. I think anyone can learn to run a marathon from Galloway's method, even those who have never run before, but it will take time. Criticize me if you want for making such a fuss about the walking thing, but I prefer a plan that doesn't interrupt the zen of running so frequently. Also, I'm on a deadline that Galloway doesn't meet. Like Galloway, Hal Higdon has been training marathon runners for decades, although he's been doing it for much longer. Now 82, Higdon has written articles for Runner's World magazine longer than anyone else, and that includes an article for their second issue in 1966. He has also finished over 100 marathons himself, the 100th being an iconic run at the Boston Marathon's 100th anniversary. 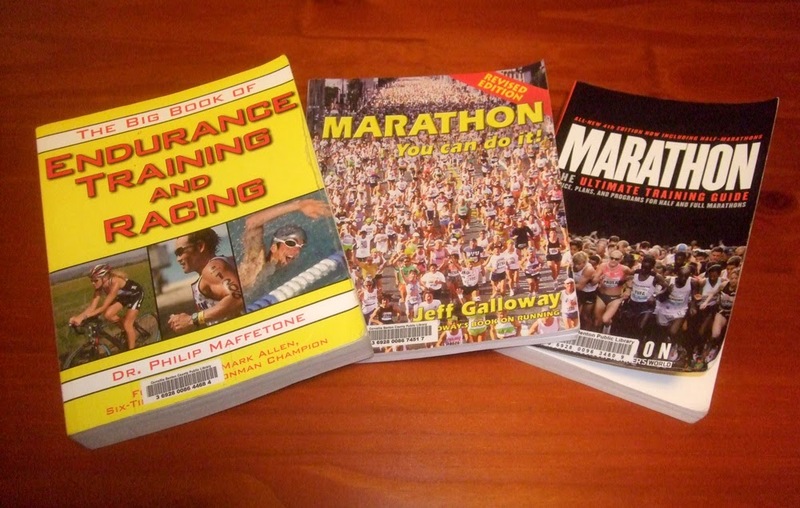 Higdon has written over 35 books and I found the latest 2011 edition of his popular Marathon: The Ultimate Training Guide. While I explored Maffetone and Galloway with excitement that fizzled out, Higdon was the exact opposite. I almost shrugged off his method simply because the schedule seemed too strict. I wanted a training regimen to help me stay disciplined, but what I read on other blogs left me feeling that his plans were too unforgiving—miss a long weekend run and the whole thing falls apart. I decided to flip through the book anyway, and I'm glad I did. The first thing that struck me was Higdon's experience. He's been doing this for a long time, and he has plenty of interesting stories to share. He shows that he really understands the needs and interests of runners and gives not only useful and simple training tips, but also delves into the "Mystique of the Marathon" and why it feels so great to love running. He's done his research and interviewed numerous other coaches to see what he can learn from them, and even gives kudos to Galloway for developing his run-walk method. Higdon encourages runners to overcome fear of walking in a race and advocates walking through aid stations, but it's still more of a running plan. Like Galloway, Higdon offers a variety of training plans for different needs and levels of experience. And like Higdon, he posts his plans for free on his website. He also has an app for each plan that you can put on your smartphone to help track progress (not free, but only $10). It's true that his plans appear to be more demanding than Galloway's, as even his novice marathon plans assume you can already run at least 3 miles (he offers shorter distance training plans for new runners), but his training schedule finishes in only 18 weeks and that's perfect for me. There is a concern for getting sick and missing a vital long run. Higdon assures his readers that the plan doesn't have to be set in stone, although I wonder how it could be adjusted without pushing oneself too far on another day. And although it may not be as protective as Galloway's method, Higdon has refined this plan over the years to help runners progress without injury. Learn from a man who's been doing this longer than almost anyone. Simple and thorough coverage of all things marathon, including race day logistics and mind games. Specific training plans to fit various levels of experience. Training schedule can be completed in only 18 weeks. I get to run without walking interruptions, unless I feel like it. Tight training schedule can make it difficult to make up lost days. Not recommended for people who aren't already running 10-15 miles per week. Although I had initial doubts about Higdon, his concise and well-written book really pulled me in. The cons weren't dealbreakers, although I am terrified of getting sick and falling behind my training. In the end, I decided Higdon's Novice 1 plan fit my needs just right. I'm now on week 5 of the plan and still feel great about it. While it doesn't necessarily prove anything, I find further validation when I speak to other runners about my marathon. They usually ask which training plan I'm using and when I say "Higdon" the response has almost always been "Oh good." I do want to emphasize that I don't believe any of these plans are bad. My choice was made for what fit my wants and needs. Factors I considered were the number of days I had to train, the amount of time and energy I wanted to put into my training, a schedule I could feasibly follow and a training method that made me comfortable. Maffetone, Galloway or somebody else could be just as right for another person... or for me at another point in my life. There were other plans to consider—Running Wizard, Your Marathon Training Plan and Runner's World to name a few—but I had to draw the line somewhere. One of the best TED talks I ever heard was Barry Schwartz talking about the paradox of choice. He explain why more choices lead to harder decisions, less satisfaction with our choices and overall less happiness. Sometimes letting go and choosing not to explore every possible option is the best thing to do.